Tata Motors today offered free safety upgrades for the Nano, in the wake of the world’s cheapest car experiencing a spate of fires. The offer takes effect in the third week of November. The company said it wanted to assure the 70,000-plus Nano owners that “there are no generic defects” in the car, launched last year on Indian roads. The upgrade will involve the addition of safety features to the exhaust and electrical system. 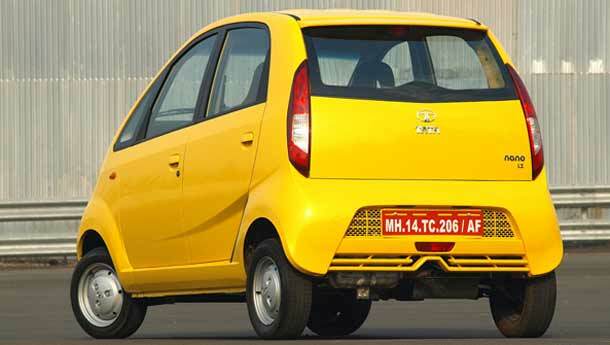 “Tata Motors is not recalling Nanos,” it said. Adding, it was up to customers to decide if they wanted to take the offer. The company said an investigation by a team of internal and international experts concluded the reasons for the fires were “specific to the cars which had such incidents” rather than being a general fault. 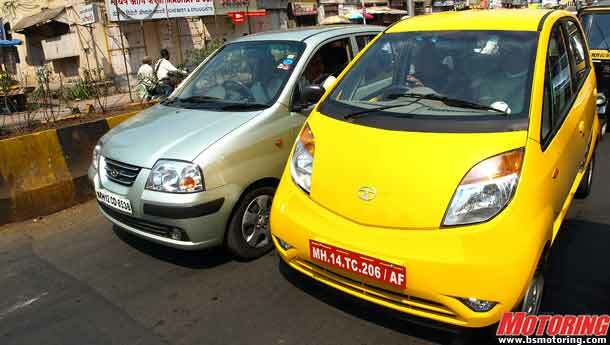 “The Tata Nano is a safe car with a robust design, state of the art components and built with an uncompromising attention to quality,” went the statement. In some of the cars hit by fires, extra equipment had been installed in the electrical or exhaust systems, it said. Chief Executive Officer Carl-Peter Forster said the company planned to install a cover on the catalytic converter and fuses for electrical components to avoid short-circuits in new models. Executives said in many of the cases, customers were putting in high-powered audio systems which consumed a lot of electricity and impacted the electrical system. Which is why a fuse is being added. Also, if a cloth is put on a catalytic convertor, it will lead to flames. To prevent this, a cover is being put on the convertor. Titan Industries is planning to develop the world’s first ‘jewellery car’, by embellishing a Tata Motors’ Nano compact with gold designs as it celebrates 5,000 years of Indian jewellery. Their designers have been working on this for six weeks, according to the company’s senior official. A Titan team has shortlisted three designs for the proposed Nano and the one getting the highest number of public votes will be selected. On the price, he said, “We don’t know how much gold will be required to make it.” The car will be designed at their Hosur (near Bangalore, but in Tamil Nadu) manufacturing facility. He said the company would add five Goldplus outlets this year, to take the total number to 34 across six states. “It is not easy to open stores in each town. The kind of designs demanded by the population varies widely even between two nearby towns. We will first consolidate and then expand the Goldplus network,” he said. The average investment per store was around Rs 7 crore and each was earning around Rs 20 crore yearly. Titan’s two jewellery divisions (Tanishq and Goldplus) were expected this year to close with a turnover in excess of Rs 4,500 crore, as against Rs 3,500 crore last year. He added none of the stores were incurring a loss. “Goldplus’ revenue is expected to be around Rs 500 crore and that of Tanishq it will be more than Rs 4,000 crore,” said Venkataraman. He said the division uses around 15 tonnes of gold per annum and resorts to hedging to manage the price fluctuations. Apart from in-house manufacture of jewellery, the company also outsources some tasks.